Centre for Primary Care and Public Health, Blizard Institute, Yvonne Carter Building, 58, Turner Street, London, EC1 2AB. Telephone: 0207 882 6131. Under the Freedom of Information Act 2000, we must adopt and maintain a scheme so that information can be made routinely available to the public. This publication scheme document is based on the model publication scheme for public authorities approved by the Office of the Information Commissioner (ICO)1. The model scheme describes the obligations of organisations and the types (classes) of information which should be made available. Further information about your rights under the Freedom of Information Act 2000 can be found on the Information Commissioner’s website2. Organisational information, structures, locations, and contacts. Financial information related to NCOR’s day-to-day costs, special projects, and donations. Strategic plans and annual reviews. Our operating procedures in the delivery of NCOR services. recover a fee are included also. 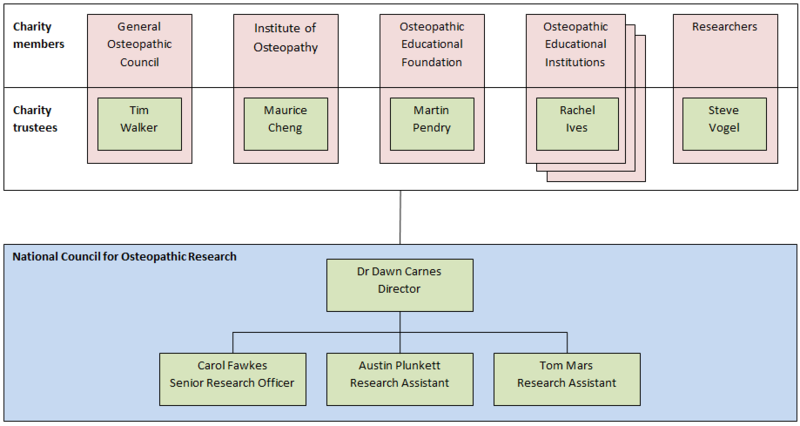 Dr Carol Fawkes, FoI Requests, National Council for Osteopathic Research, Yvonne Carter Building, 58, Turner Street, London, EC1 2AB. Email: c.fawkes@qmul.ac.uk. Most of the information is free but we may make a charge for particular items. This is indicated in the “Guide to information” section of this document. We will let you know any relevant charges when we respond to your request. Please refer also to the “Publication scheme charges”. We are committed to ensuring accessibility of all of the information we produce. If you do not have access to the Internet we will supply single paper copies of individual website pages free of charge. Requests should be made to c.fawkes@qmul.ac.uk. Information in our publication scheme is normally available free of charge. Most of the information in the scheme is freely available on the NCOR website. A single print out of a web page will normally be made available free of charge for individuals who do not have access to the Internet. Details of instances where we will make charges are shown below. We will let you know how much this will cost when we respond to your request, and we may ask you for a payment in advance. Please contact c.fawkes@qmul.ac.uk or by telephoning 0207 882 6131 concerning your request. The table below outlines the information included in the publication scheme. It includes how each document can be obtained, and whether there is any charge for it. Most information is available on the NCOR website; if this is not the case it will be stated in the document below.